로마, 이탈리아의 Guesthouse Ava - Hostelworld.com에서 저렴한 호스텔과 숙박시설을 찾아보세요. Guesthouse Ava: dear guest here is a normal apartments, private rooms with share the bathroom, for the check in we waiting for your notice about arrival time, we no have reception, for the check out should leave the key in the room, not breakfast, respect other guest keep clean the bathroom please, any problem question can call me 24h, it's better before arrive clear me arrival time please. during night keep silent please too. 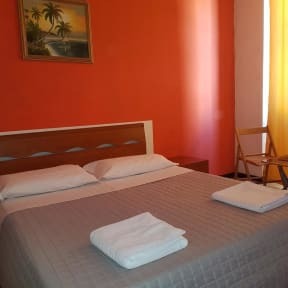 Close to Guesthouse Ava there are so many restaurants bar and big super market, 10 min by walk to coliseum and centre, from the airport are buses to termini and 5 min from termini to guesthouse, with metro can go to the sea, public bus work 24h, the guest has key to get in free times, simply is a nice super market and 2 min by walk, bus station 5 min by walk. 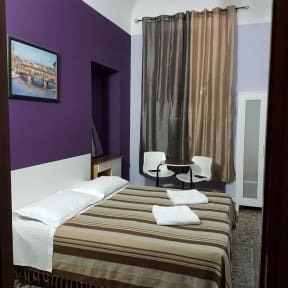 We offer private rooms with share the bathroom, wifi free, every 4 days will change your sheets and towel, tab water can drink, we no have deposit bag. Reception opened from 10:00 to 22:00.